our Firefox extension update yesterday, but simultaneously depressed because your preferred browser is Chrome? Luckily, just in time for the weekend (I know, FridayFriday, it's stuck in my head too), Aviary's here for you. Our updated Chrome extension is available as of today! Install the updated add-on now! If you've never used our extension (codename: Talon) before, here's a quick refresher. By default, the extension will open up screenshots in our image markup tool (Falcon) so that you can quickly crop or add text and arrows before saving, but you can choose which application to launch by going to the extension options through that same dropdown menu. Now that we got the basics out of the way, let's get to the fun stuff: the brand new features in this version of Talon!! 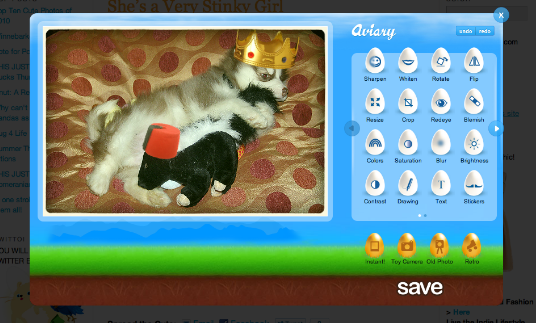 You can now edit any photo on the web without leaving the page with our Simple Image Editor (Feather). Click save, and you'll be presented with 2 options: you can either save the new image to your desktop, or host it using your existing account on Aviary.com. Lifehacker, Our apps are listed as the 5 best Chrome webapps! 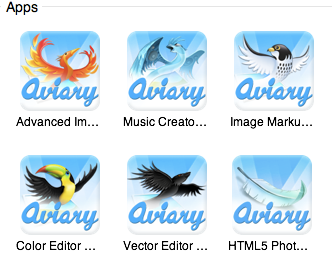 "Aviary is like Photoshop in your web browser, and it's capabilities are almost mind-blowing." Check out our apps in the store, and be sure to rate and comment them! If you're using Chrome, you can install it right into your browser! 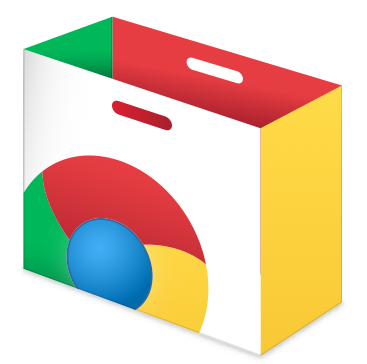 Chrome Web Store has officially launched! The Chrome Web Store is an online marketplace where users can search, browse and use web-based applications and extensions. From productivity tools to research sites to interactive games, the Chrome Web Store helps users find the best applications on the web. All our apps, including our new HTML5 Photo Editor, as well as our audio and image editors will be showcased in the store! It'll be a great and easy way for users to find us. "The web has become an incredibly powerful platform for innovation, allowing users to do much more online than they ever imagined," said Sundar Pichai, VP of product management for Google Chrome. 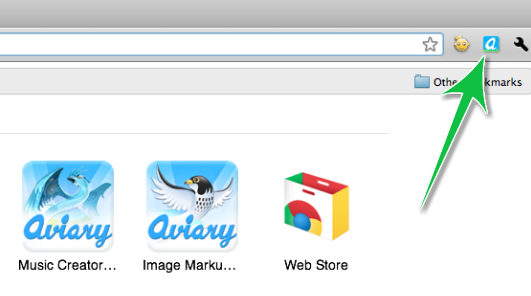 "The Chrome Web Store showcases the power of the open web and we're excited to have Aviary as a part of it." We're just as happy as Sundar, and looking forward to the possibilities! 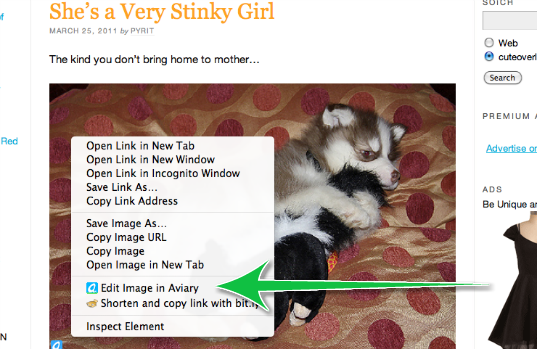 Aviary releases Google Chrome screen capture extension! 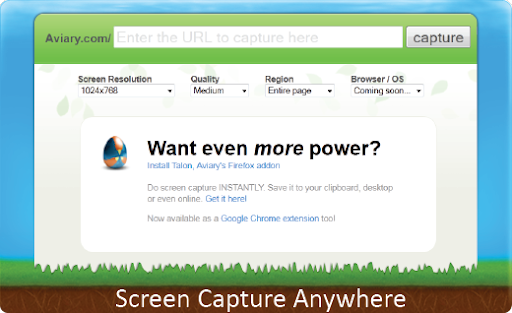 We just released an extension for Google Chrome that allows you to do screen capture right in your browser! This will currently work for people using the latest development build of Chrome (4.0+) (and will work for everyone else once Google releases the beta version of Chrome, with extensions support). The extension adds an icon to Chrome that allows you take a screen capture of the visible portion of any webpage and open it instantly in Aviary's visual markup editor (Falcon) where you can crop it and add arrows and notes. You can also change the default editor if you'd prefer to open it in our other apps (like our advanced image editor or color editor). Once you have a screenshot you can easily download it to your desktop or if you have an Aviary account, save and host it online at Aviary. You can easily push the screenshot to Twitter, Facebook and other locations too. 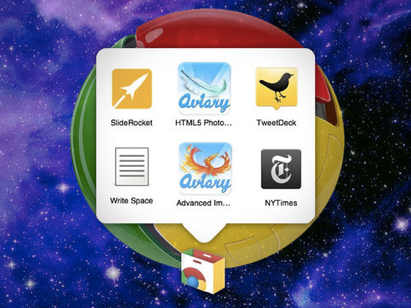 The extension also lets you quick launch any of your favorite Aviary editors. There are some limitations because this is an early release and Chrome doesn't allow some functionality just yet. One limitation is that we can't capture the full page (that is normally hidden until you scroll down) and we can't capture Flash content. 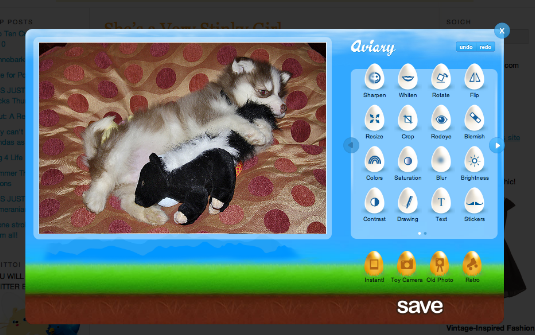 Both of these things are available in our Firefox addon for screen capture. We expect that in future releases these options will be supported. PS. Happy Thanksgiving! Please remember to thank the turkey for being so delicious.